"The Satanist", the long-awaited new album from Polish extreme metallers BEHEMOTH, sold around 10,000 copies in the United States in its first week of release to debut at position No. 34 on The Billboard 200 chart. BEHEMOTH's ninth full-length studio CD, 2009's "Evangelion", opened with around 8,500 units to land at No. 56. "The Satanist" was released on February 3 in the U.K., February 4 in North America and Poland, February 5 in Japan, and February 7 in the rest of the world. 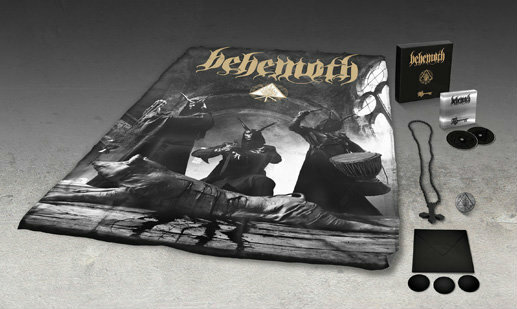 BEHEMOTH's video for the new single "Blow Your Trumpets Gabriel" can be seen below. 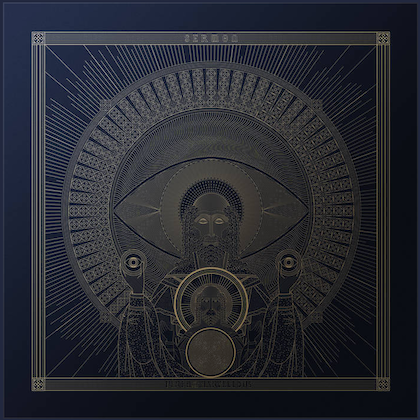 This visual masterpiece was produced by Grupa 13 and is one of BEHEMOTH's most unsettling and unique works to date. 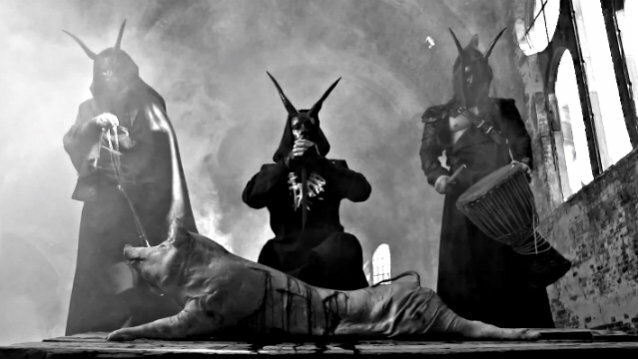 BEHEMOTH frontman Adam "Nergal" Darski states about the video: "Yes, we took all the time in the world to complete this project. And we did everything that was humanely possible to accurately express our vision. We crossed the Rubicon. "'Blow Your Trumpets Gabriel' is an ecstatic manifest of our unrestrained artistic will, where we dare to reach out beyond the limitations of the heavy metal genre. And it's only the beginning." "The Satanist" deluxe box, which is available in North America as an European import, includes: CD/DVD digibook in silver mirror slipcase with a high-quality 44-page booklet (with gold foil, UV gloss lamination), supersize poster flag (approx. 3.5' x 5'), wooden black inverted rosary cross, metal pin, black envelope with black communion wafers. The DVD, "Live Barbarossa", includes a professionally filmed show in Ekaterinburg, Russia, as well as 30-minute documentary about the creative process behind "The Satanist". "The Satanist" was produced by BEHEMOTH, Wojtek and Slawek Wieslawscy and Daniel Bergstrand at Hertz Studio. 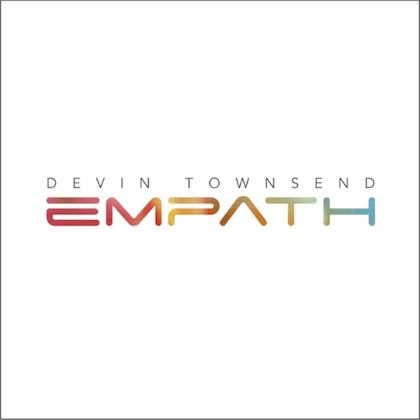 The CD was mixed by Matt Hyde (SLAYER) and mastered by Ted Jensen (METALLICA, AC/DC) at Sterling Sound in New York City. 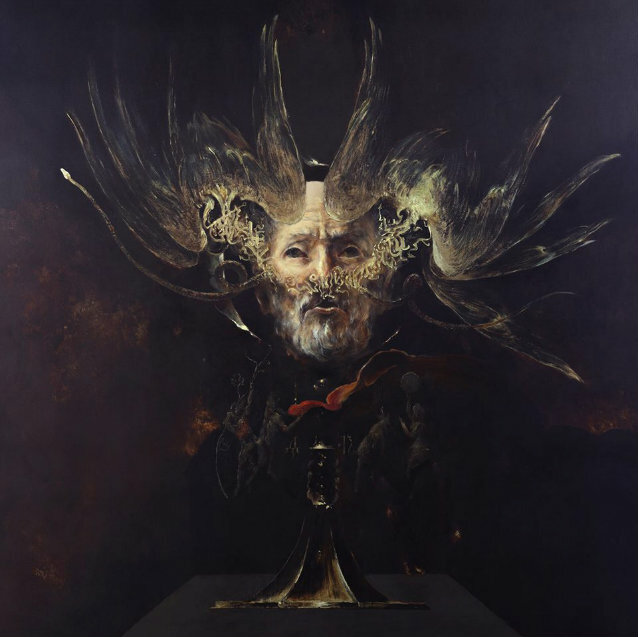 The cover art for "The Satanist" was painted by renowned Russian painter and occultist Denis Forkas. The paint used included some of Nergal's own blood. 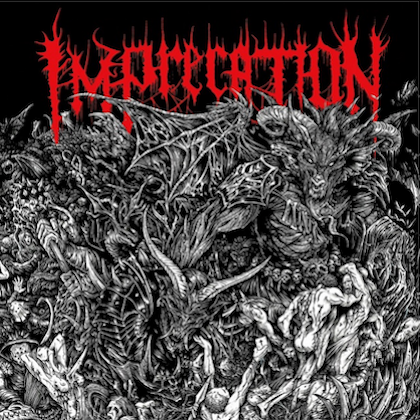 Additional art and design was completed by Metastazis (PARADISE LOST) and Zbigniew Bielak (WATAIN, GHOST). "I wanted to incorporate some of my DNA into the art," Nergal told Australia's Heavy magazine about having his blood included in "The Satanist" artwork. "This album seems to be so defining of who we are now as people and as individuals, and considering all the instances in recent years, [we wanted] to make it more 'ours' than it is usually." According to Darski, at least some of the inspiration for the new BEHEMOTH album came from his five-month bout of leukemia he overcame in January 2011, after receiving a bone-marrow transplant. "When I was in the hospital, I was collecting experiences and emotions," he said. "I'm pretty sure that it's coming out now. There are moments I catch myself thinking about how my state was back then. It was me versus life, me versus death. It definitely changed my thoughts a lot. It's 100 percent being reflected in the record and songs I'm writing nowadays. I'm way more radical than I used to be."